Mary Louise Green, age 90 of Grand Haven, passed away on Sunday, August 19, 2018 at a local care facility. She was born on April 15, 1928 to the late Christopher and Johaan (Bulthuis) Doering in Grand Haven, MI. Mary was a Nurse’s Aid for 23 years at Shore Haven Nursing Home, and for three years at Christian Haven, both in Grand Haven. 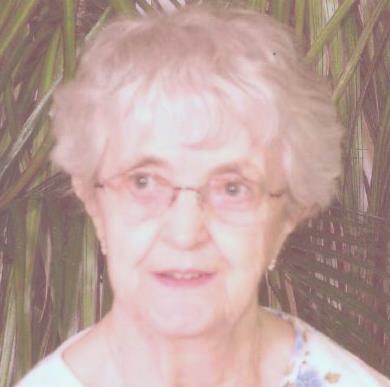 She was a member of Covenant Life Church, and Four Pointes Senior Center. Mary enjoyed shopping, watching game shows, doing puzzles, and embroidery work. She will be lovingly remembered and missed by her son, James (Beverly) Green of Grand Haven, MI; daughter-in-law, Rose Green of Ferrysburg, MI; six grandchildren; 10 great-grandchildren; and several step great-grandchildren. Mary was preceded in death by her daughter and son-in-law, Christine and Chuck Zalsman; son, Kenneth Green; and brother, Robert Doering. The Funeral Service for Mary will be 2:00 PM on Thursday, August 23, 2018 at Covenant Life Church, Grand Haven with Pastor Robert DeVries and Chaplain Duane Smith officiating. Visitation is one hour prior to the service at the church. Interment at Nunica Cemetery. Memorial contributions may be given to Covenant Life Church or Hospice of North Ottawa Community.